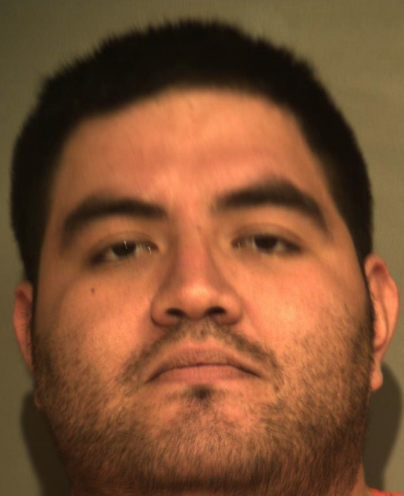 McALLEN — A McAllen man previously convicted of a state felony was sentenced to more than four years in federal prison for being in possession of a handgun, according to court records. Francisco Javier Ruiz Gomez, 30, was arrested in October 2016 in connection with an investigation led by agents from the Bureau of Alcohol, Tobacco, Firearms and Explosives, according to the criminal complaint. U.S. District Judge Randy Crane sentenced Ruiz to 54 months in federal prison with an additional three years supervised release, including participation in a drug rehabilitation program, court records show. Ruiz had previously pleaded guilty in 2007 to criminal negligent homicide charges and was given a 5-year deferred sentence only to have it rescinded when he violated the terms of his probation. After another arrest, he was found in possession of a .45 caliber handgun on Sept. 24, 2015, in the parking lot of a fast food restaurant attempting to sell the weapon to a federal cooperating defendant, the complaint states. ATF agents set up a controlled gun purchase operation with Ruiz, who was to hand over the weapon. He was arrested in the parking lot of a fast food restaurant on North 23rd Street in McAllen when he displayed the handgun to the cooperating defendant. Ruiz, who originally pleaded not guilty to the weapons charge in Nov 2016, changed his plea last February, court records show.